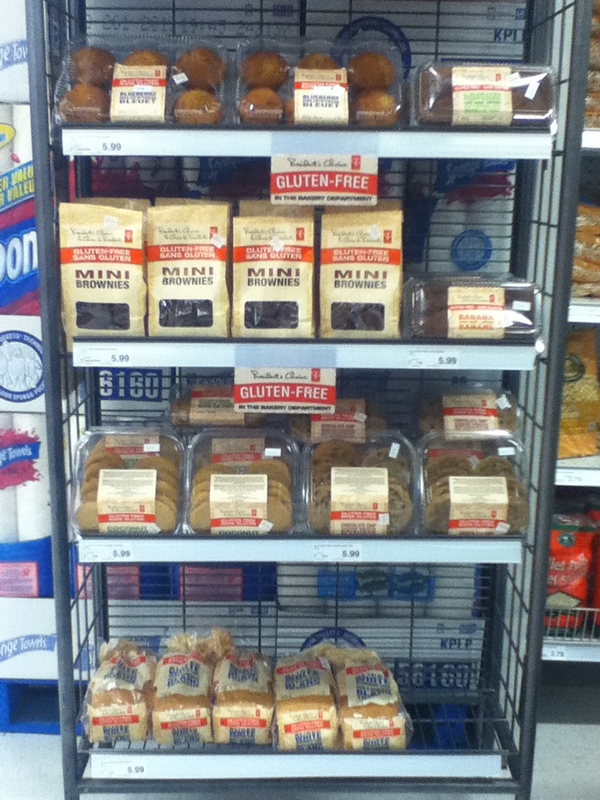 Notice that Spelt Cookies are at far right of display on both shelves. Stuff like this really concerns me. Hubby and I have different views on the matter. He feels that everyone should notice that the cookies are Spelt and that they are technically at the end of the display with no GF label near the price tag. Although constant vigilance is a must, I find displays like this can confuse people. I read and re -read every label. Thats just my nature. 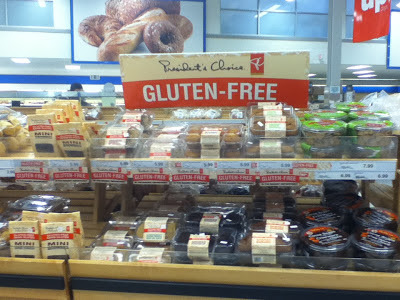 For someone gathering groceries on a busy day, they may see the Gluten Free sign and grab something without first verifying that it is indeed Gluten Free. 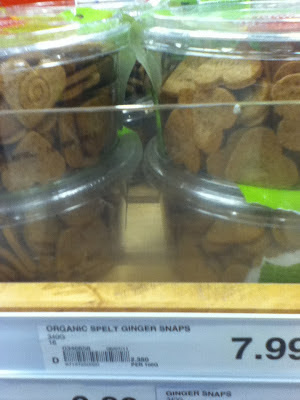 When I read the label for the Spelt cookies I noticed something a little scary. Something that will probably confuse many who are new to the GF diet or poorly educated in regards to it. The label stated that the cookies contain a Gluten similar to Wheat Gluten. Some people may think that this is actually safe for them to eat when in fact it is quite harmful. Another thing that will likely confuse people into purchasing this non GF product is that the displays seem to vary by location. Some locations have only Gluten Free food in the display, while locations like mine have it slightly mixed with Gluten containing products to both the right and left. Hopefully this is just a learning curve and Real Canadian Superstore will change it up. I sampled the Presidents Choice Gluten Free Bread today and will have a review up soon. I saw the display too, just today. Curious to know how the bread tastes. The ingredients say "canola or soybean oil", which is sad because I can't have soy. I've called the head office to find out which it is..canola or soybean.